The market for underground mining equipment in China has witnessed growth in recent years to widespread industrialization and urbanization, causing a hike in the demand for minerals. The mining and minerals industry in China is very large; the country is among the top producers and consumers of coal and several other minerals in the world. Growth in these industries translates into growth in demand for equipment used in mining. Underground mining equipment is the largest segment of mining equipment, accounting for majority of the market share. A rising need to use latest equipment with cutting edge technology is being felt by mining companies across the country, further fuelling demand for these equipments. Demand is majorly fulfilled by domestic suppliers of mining equipment. With rapid technological developments and substantial research and innovation, Chinese manufacturers have increased their capability to manufacture high tech, state of the art equipment for underground mining. However, mine safety in China continues to be an issue. Mining hazards claim a vast multitude of lives every year. China has the highest coalmine accident mortality rate in the world. Moreover, mechanization rates of mines in the country are low. An increase in safety expenditure on mining sites and a rise in mine mechanization rates could potentially increase the demand for sophisticated equipment manifold, further bolstering the market in coming years. The market for underground mining equipment in China was valued at USD 10 billion for 2016. On the back of, the market is forecasted to grow at a CAGR of 7% during the forecast period, and reach a valuation of USD 17.2 billion by 2024. Underground mining equipment sees widest application in the coal mining segment, which accounts for over 35% of revenue. China being the world’s largest producer of coal, coal mining is one of the largest industries in the country, contributing significantly to GDP and employment levels. Asia Pacific is the largest market for underground mining equipment globally. Within this region, China is one of the leading regions generating the highest demand. With its massive and ever increasing coal industry, faster replacement of old equipment and adoption of state of the art technology, China is expected to lead the regional market over the forecast period. Rapid industrialization, rising need for adopting latest technology to increase efficiency and mining regulations by the Chinese government are the key factors driving the market for underground mining equipment in the region. 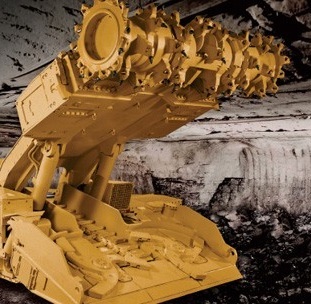 High mortality rates in the mining industry are raising concerns and implementation of stringent safety and environment norms can potentially shape the future of the underground mining equipment market. Compliance with these regulations will add to the costs, potentially dampening the demand. Major companies like Caterpillar are announcing close down of factories, laying off workers and discontinuation of the manufacturing of certain categories of equipment. Mergers and acquisitions among the key players are anticipated to continue.